Fellow Ravens! This article is a guest article by Parker Reed, "The Professor". There are a few units in the Legions Crusade Army List book that people just don’t use. Whether they are too expensive, take up a valuable elite slot, or just don’t really ‘fit’ they are somewhat maligned by us 30k gamers. 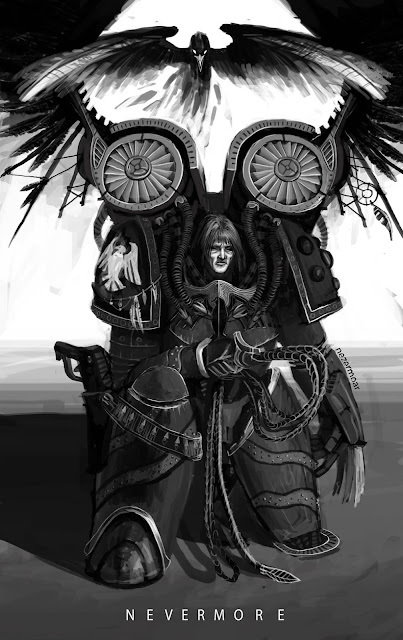 We will take a closer look at six of these units and see if we can get them to work with our own Raven Guard Legion army lists. I would say if you want this guy in your list, he’s a cheap way to throw him in a land raider Achilles and keep it alive. That’d be a 35 point upgrade to your tank basically, but it would take an elite slot…That’s definitely the worst part of this unit. The melta bomb nerf REALLY hurt these guys – before you could slap bombs on all of them and they could really do a number on tanks. Now they have to take a number and wait like the rest of the assault marines. If you are REALLY wanting to bring some Tarantulas to your list, pick anti-infantry or armor and go all in with a battery of 3. A battery of 3 with twin-lascannons and forward deployment (gives them scout) could do ok at popping the occasional rhino or predator. Next up is a unit that can be a devastating line breaking unit, the Deathstrom Drop Pod. This thing comes down and unloads waves and waves of missiles into the enemy’s lines. This drop pod was designed by our very own Raven Guard! They wanted something to clear landing zones without losing more warriors, our Primarch was cool like that. So what are some drawbacks to this thing? So a super cool, fluffy idea when running a drop pod or reserve heavy list that relies on the enemy being softened up before a charge. I would say go for the krak launchers and pay for the drop pod assault, which brings it to 145 points. That is expensive, but you are shooting 2 krak missiles at hopefully 5 different targets! If you want to run a champion, and I wouldn’t say it’s a bad choice they just don’t help your army with modifiers or anything, I would give him artificer armor and a refractor field, plus a pair of Raven’s Talons and a jump pack or bike. With the furious charge bonus from By the Wing and Talon he could be wounding on 3’s with shred and rending, which isn’t half bad. 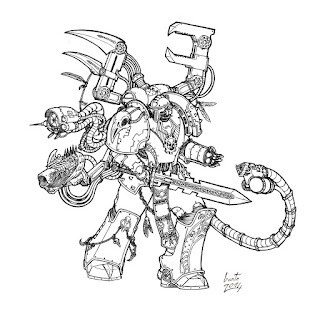 I would go with a command squad kitted out for combat and to keep him alive, apothecary fits very nicely here, and they will do good things for you. Let us know us know how you feel about these units in the comments below! So the only way to make them better is to stack modifiers on them. 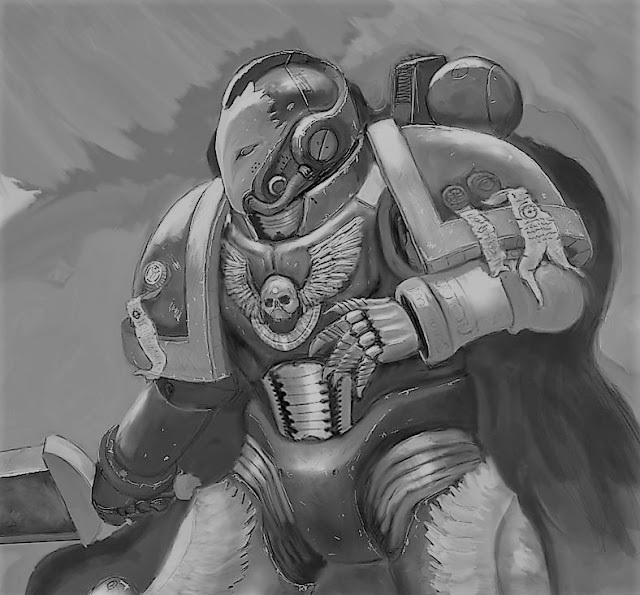 Raven Guard at least give them infiltrate and fleet, but still, what's idea? 5 guys missile launcher and a phosphex grenade and go play catch? Ultimately, I really only see these guys as an option in Zone Mortalis. Shred and reduced scatter on the rad grenades is really quite powerful in confined corridors. Another rad unit! But you can't join a squad... which is basically what makes them rough to use, and the servitor units don't really add much. The one use case that might actually make sense is if you took a storm lord as a super heavy. It's a great tank that you can shoot out of. And because it's a super heavy, you can put multiple units in it. So a tech marine could jump out here and there and make a repair. When would you use a Storm Lord? Liberation Force is interesting with 100 fearless mooks bubble wrapping it. Odd Raven Guard list, but if you are playing a campaign and need to HOLD AN OBJECTIVE AT ALL COSTS, it could be a fun and powerful option. I'm probably one of the few people who really wishes the game had a lot of "bring your own defensive terrain!" YAY! From a fluff perspective, all the legions are constantly running the gauntlet of sentinel guns and the like... bu I digress. Tarantulas are weirdly basically a fortification in the standard codex. But they are really expensive. It's a shame. You could add some cool element to the game if they could get the rules right. As it is... I'm not sure hwo or when you would ever use these guys. Yet another VERY Raven Guard unit invention that is horribly priced or poorly ruled. For one it would be nice if these could be take is 1 to 3 slots. They were also very interesting when they had drop pod assault and you could take them as cheap options to stack your turn 1 drop pods. Now as it is, you have to decide to either be super aggressive with them and try to max out shots or be long range conservative. In the conservative model they don't really have enough shoot to be interesting for the points. Used aggressively they can be a fair amount of firepower but are really easy kill point. The most clever thing I've figured out is a libby with telepathy dropping leadership and trying to pin units... Is's a shame. I love the model and the concept, they just are priced poorly. So champions might have a place in other legion where they have better access to strong HTH weapons. Personally, I view the delegatus as the tactics side of the Praetor and the Champion as the HTH side. 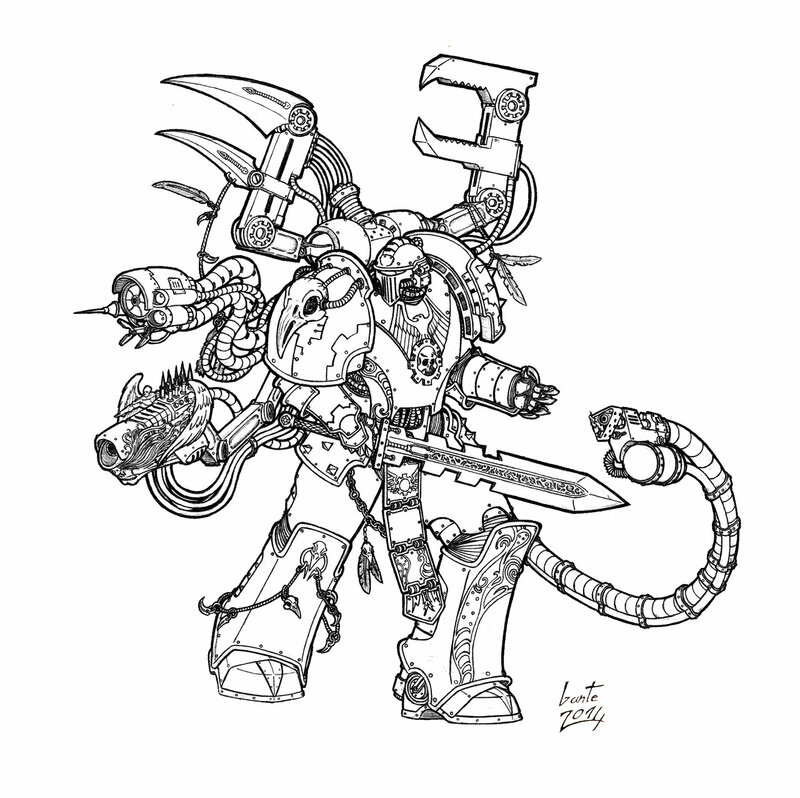 I think what they should have done is to let the champion pick from the praetor wargear. Fielding a couple Paragon blades would land these guys on the table. Outriders with a forgelord was exactly where my mind went when I first saw the Recon ROW. Where do you park the forgelord and Praetors? One in each outrider squad? The deathstorm drop pod fire 3 Krak missiles ! (at least since the last redbook Age of darkness Army list) on 4chan and other site they wrote 2 Krak too, so I guess that no one noticed the change. I think they tried to make it better... I'm mean if you drop it in a crowded spot d3 x 3 per unit within 12” child be a lot... But it's B's 2. Also you can get a unit in Los of 2 missile launchers... So 2d3?